Watch the video below to learn more about how CompuCram is the only complete exam prep system on the market today. Only CompuCram gives you all the tools you need to pass the exam the first time. 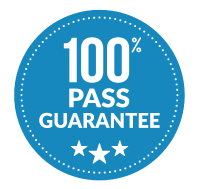 Our exclusive system of combining study vocabulary, practice testing and simulated exams will build your knowledge and confidence. There is no more need to buy multiple products! CompuCram: The only complete exam prep system available on the market today! CompuCram is the only complete Exam Prep system where Flash Cards, Matching and Fill-In-The-Blank vocabulary tools, practice testing and comprehensive simulated exams are integrated into an “all-in-one” solution. CompuCram incorporates a unique learning methodology that guides students each step of the way based on their initial pre-assessment and the work completed during each session. The system is flexible and also allows students to make their own decisions for how they navigate through the different preparation options; choosing between Study Vocabulary, Practice Testing and Simulated Exams. Regardless of how students use CompuCram to prepare for the test, they receive continuous feedback via the revolutionary new Readiness IndicatorSM – ensuring that they pass the first time. 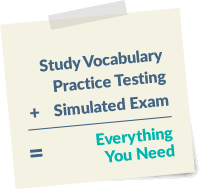 All-in-one solution integrates vocabulary tools, practice testing and comprehensive simulated exams. 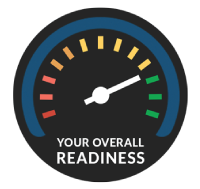 Our Readiness IndicatorSM tracks your progress with the study vocabulary, practice tests and simulated exams.